For those of you that are already apart of the NEM program, as of August 9, 2016, these are the updates and changes you will need to be aware of. This is an overview of PG&E’s latest report concerning the latest info for the NEM program. 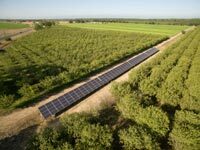 Those of you that are new to solar, the NEM program is designed to interconnect a generator in the form of solar to help offset your energy usage. If you are interested in having solar or wanting to add solar to your business or home, you should start your paper work now. It’s a long process and you’ll want to get a head start! If you want to get the ball rolling, you will need to do three things to apply for your solar. Even if you have already started the process or made an appointment for solar installment. These three things must be done first before you can move forward. Provide evidence of the applicant’s final inspection clearance from the governmental authority. All three of these must be filled out completely to apply. If you do not turn your application in on time for the current NEM program, you will be put in the successor program which in all likelihood will decrease the solar energy it collects. You can choose to not be put in this program but you will need to inform PG&E before hand. Once you have turned in all your completed paperwork, PG&E will review your application and let you know if it is completed and ready for interconnection. PG&E will also let you know if you were approved for the NEM program or NEM Successor program. Single Family Affordable Solar Housing (SASH) customers who join the NEM successor tariff will not need to pay any interconnecting fees. If you do not wish to be apart of the NEM program, you will need to inform PG&E, otherwise they will automatically enroll you. There are no new NEM-specific charges or fees. What is great about these updates is they will apply to those already in the program and you will have these benefits for 20-years from your original approval and interconnect date. If you were to move, switch owners or PG&E accounts at the original location, you would not loose eligibility for the original renewable generator 20-year transition period. You could stay in the NEM program or move to the NEM successor program. There is now no generator cap for NEM 2.0 customers. As long as your annual load qualifies, you will not be limited to 1 MW or less. Customers having generators with 1MW or less will pay a standard interconnection fee based on their solar system. 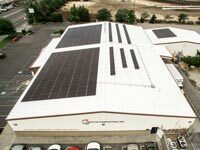 The only thing you might have to change is all customers are now required to have their major solar PV components CEC approved and have a 10-year warranty on all major equipment and installation equipment. The current restriction of having one service delivery point is being eliminated. Customers with generation systems of 1.0 MW or less will need to pay a fee for interconnection, based on the utility company’s actual costs. NEM 2.0 accounts will end up paying for all the charges of energy and these will not be offset by what exports to the grid. Meaning, more out of pocket. Charges included are Public Purpose Program Charge, Nuclear Decommissioning Charge, Competition Transition Charge, and the Department of Water Resources Bond Charges. All customers will now need to have “time of use” rates. Customers exporting during the summer will be more affected by the Non-bypassable Charges. You will also see a decrease in the energy that is exported to the grid by about 2-3 cents per kWh. Another downside is the utility electrical tariffs, they will change an average of four times a year affecting the value of solar PV. The latest test left customers with a loss of 30-50% from their PV system. NEM 2.0 does not protect the customer in this area yet. There is no specific date when the cap will be met, all you need to know is the NEM Successor program will be put into effect when the cap for the first NEM tariff is met. Possibly sooner rather then later, depending on how many people apply for the NEM program. The NEM Successor Interconnection forms are being updated and revised to provide you with all the program requirements. In turn, PG&E is finalizing the approval of the NEM successor tariffs with the Commission.